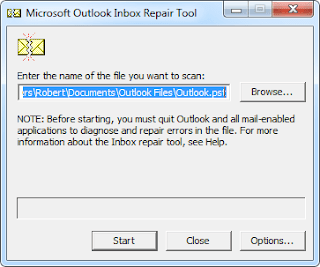 This blog explains the simple steps to repair MS Outlook Personal Folder file (PST) with the help of Inbox Repair Tool, here is simple guides of Outlook users for repairing Outlook personal folder file. 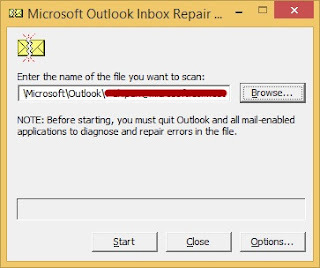 This following article will give you a detailed step by step guide on how to repair Outlook personal folder file .pst with the help of Inbox repair tool. In addition, I will also suggest you a renowned software, if in case this free technique doesn't work. In this twenty-first century, Facebook, Twitter, Snap-chat and other social media websites play an important role in connecting the world. These social community websites helped us in knowing people even from different continents. But even after all these social options emails still plays a major part for most of our communication, professional and personal both. And one of the most used email clients is MS Outlook. This application is developed by Microsoft a few years back and is broadly used by many major organizations. Even we use this for our personal needs too. Being a featured rich application, it is one of the most widely used email clients. We use it for sending & receiving emails, creating tasks, managing meetings and so on. 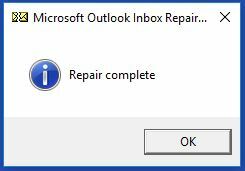 So even a small issue or damage in Outlook will affect a lot of us. It can cripple our work. Unfortunately, Microsoft Outlook does face issues. And one of the major issues is file corruption. Note: MS Outlook save your files and emails in PST format for later use. And these PST files gets corrupted very easily. Corruption in PST files may lead to data loss. You might not be able to access your emails and other mailbox items like tasks, attachments and so on. That is why Microsoft has launched its own repair tool named Inbox Repair Tool to repair Outlook personal folder or MS Outlook PST file. 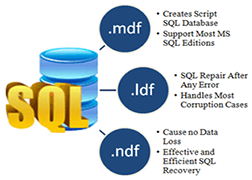 This tool can easily repair corrupt MS Outlook personal folder without any hassle. So with this article, I will share you a step by step guide on how to repair Outlook personal folder file with Microsoft Inbox repair tool. But before that, we need to understand the reasons for corruption. There are various reasons due to which a PST file of Outlook gets corrupted. And one of the major reasons for this is oversize PST files. Every Outlook version has a size limitation for PST files. And if your PST files exceed that limit then there are great chances of your PST files getting corrupted. So now the question is what should one do, to deter this issue? The best way to resolve the issue is to split large PST files into smaller PST files. By splitting the oversize PST files you can easily avoid this corruption issue. Note: This is a precautionary measure and splitting PST files will not work if your PST files have exceeded its size limit. So you have to do it beforehand. However, if your files are already corrupted then the only way to repair Outlook personal folder is by using Microsoft Inbox Repair Tool. 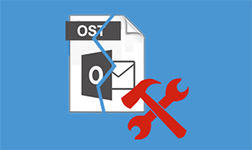 So let's now see, how to use this application to repair MS Outlook PST file. Note: Before you start using Inbox repair tool, you first have to locate it. 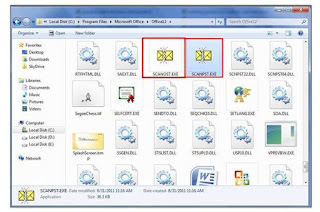 The file is automatically installed during MS Office or MS Outlook installation. But before running it you have to locate the executable file first. Step 4: Be patient enough till the scanning process gets over. 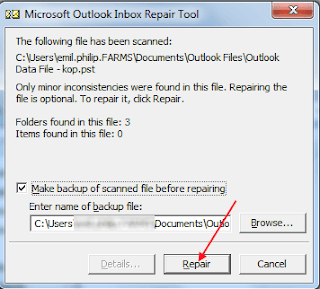 The Inbox Repair Tool aka Scanpst.exe works fine in repairing corrupt MS Outlook PST files. But there are certain situations, where this free Microsoft application doesn't work as said and the major reason for this is corruption type. If your MS Outlook PST files are facing high corruption then this application might not work as said because this tool can rectify only small amount of corruption errors. So if the Scanpst.exe couldn't repair the files then the only option that is left with you guys is using a professional software. One of the renowned applications in this segment is Outlook PST Repair. 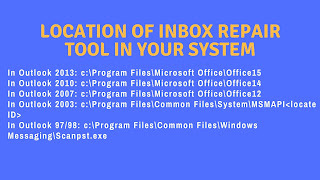 I have evaluated this tool and find it very helpful in repairing Outlook personal folder files. This application is known for its effectiveness and for the quick recovery. The Outlook Repair tool not only restores corrupt PST files but also has the ability to recover deleted emails from your PST files. It can also recover your emails, contacts, tasks, calendars etc that too just under few clicks. Plus the tool is also loaded with an extremely interactive user-interface making it easier for non-technical guys to use it without any help or assistance. 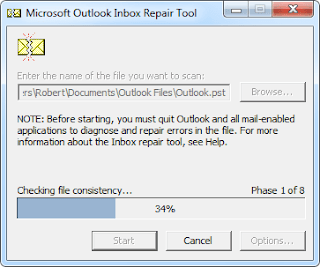 So this is how to repair Outlook personal folder file. 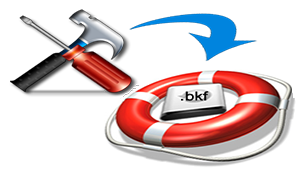 You can either use Inbox repair tool or can use a software, it fully dependent on you. So make sure you choose the correct option. Note: If using the software, make sure you download the demo version first before going for the full version.